The State of Jammu and Kashmir has 6 seats in total for the parliament. A troubled spot in the country due to the bad relations with Pakistan, Kashmir had been the principal focus during election campaign for all the parties during election campaigns. 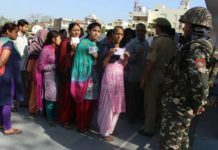 Despite having lesser number of constituencies, the state will go for polling during the 2019 Lok Sabha elections in five phases to enable the EC manage the polls well. The dates of elections in the state are April 11, 18, 23, 29 and May 6, 2019. Tight security measures are being planned to facilitate as much voting turnout as possible in the state. 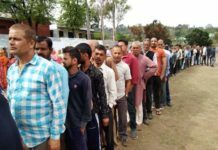 For the single constituency of Anantnag, polling will happen during three phases covering different regions of the constituency. 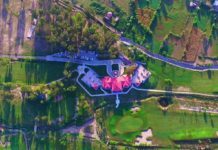 The names of the 6 parliamentary constituencies in Jammu and Kashmir are Baramulla, Jammu, Srinagar, Udhampur, and Anantnag. In 2009 general elections for the Lok Sabha, the BJP could not get even a single seat in the state. Hence, a vigorous campaign followed and in 2014 elections, BJP could win from 3 constituencies leaving the remaining 3 constituencies to Jammu & Kashmir Peoples Democratic Party. The Commission announced that the elections will take place this time in 7 phases between April 11 and May 19. The votes will be counted on May 23 with the results to be declared on the same day. 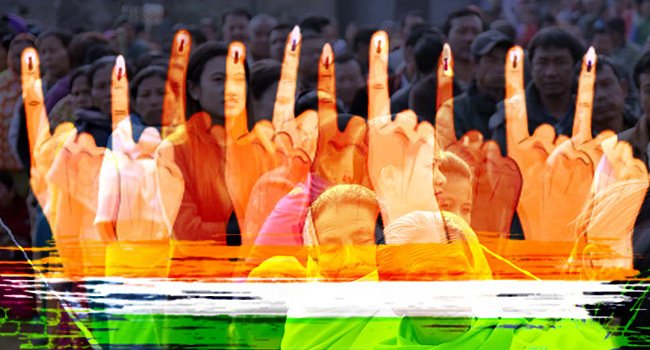 In Jammu and Kashmir votes for the Lok Sabha Elections 2019 will happen in five phases on April 11, 18, 23, 29 and May 6, 2019. Next articleWhy is Doda called Doda?